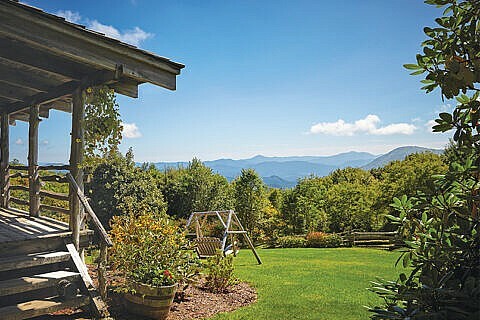 This secluded Smoky Mountain resort log cabin has a living room with a wet bar and a 22-foot stone fireplace. It also has two master suites each with a king bed, steam shower, balcony and even its own billiard room! At night you can gaze at the stars as you lounge in the upstairs balcony’s private soaking tub, or the main level balcony’s outdoor shower, weather permitting. One bedroom is on the main level and the second bedroom is upstairs.